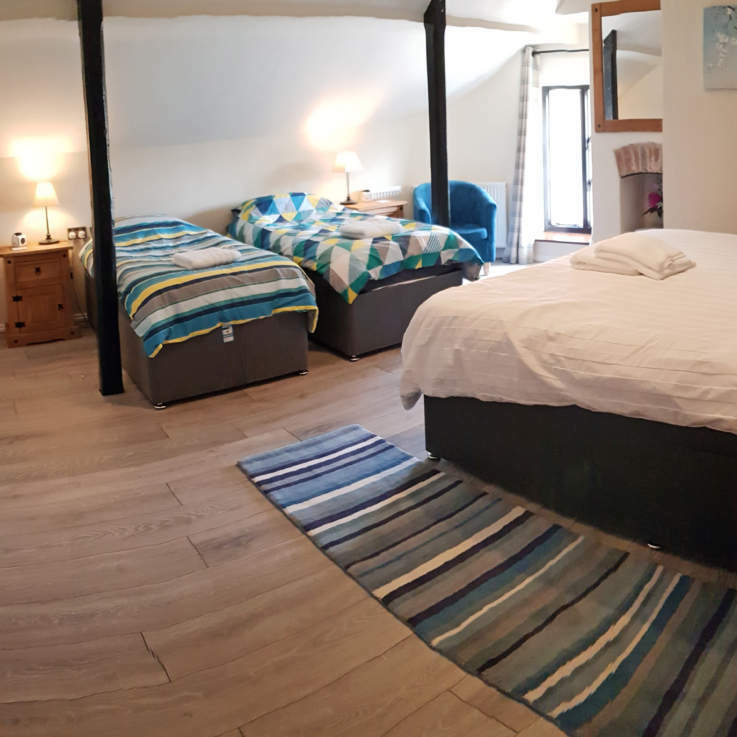 Rooms with en-suite bathrooms, WiFi, TVs with DVD players installed, hair dryers and tea and coffee facilities (including the option of soya milk). A fully English breakfast is cooked to order using locally sourced produce, served with homemade breads and jam. Fresh fruit and other healthier options are also available. The building is approximately 400 years old, so holds that warm atmosphere and character, with inglenook fireplaces and old charm that old houses command. It doesn’t happen often, but when it does it’s a nice cosy place to be. 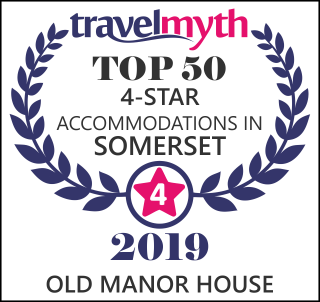 This 400 year old ex Coaching Inn offers you the modern facilities you would expect whilst still holding the charm and character of the old building. Our rooms offer different layouts to suit different tastes, from a standard double, super king or twin beds. 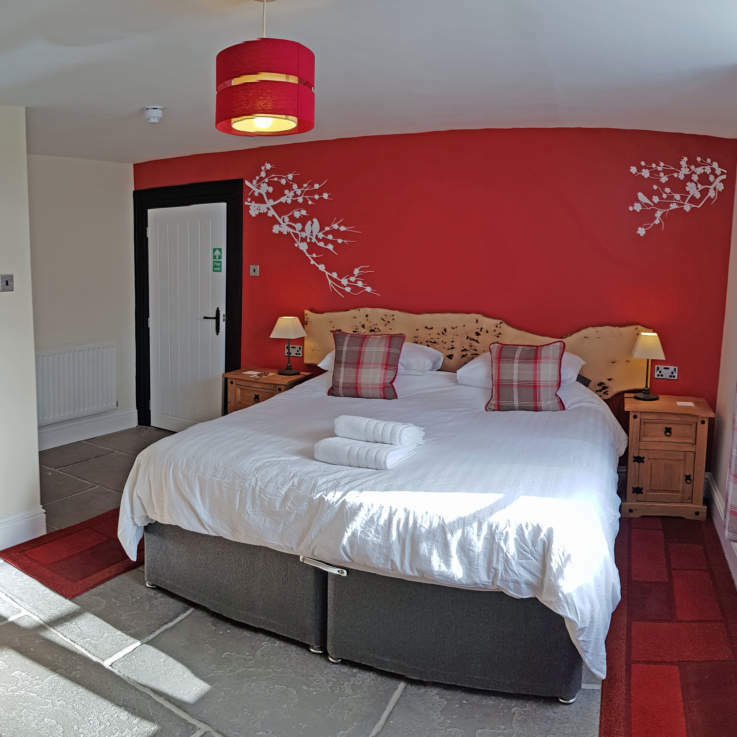 Our family rooms cater for either 3 or 4 guests. All rooms are either en-suite or have a separate private bathroom (Amber). 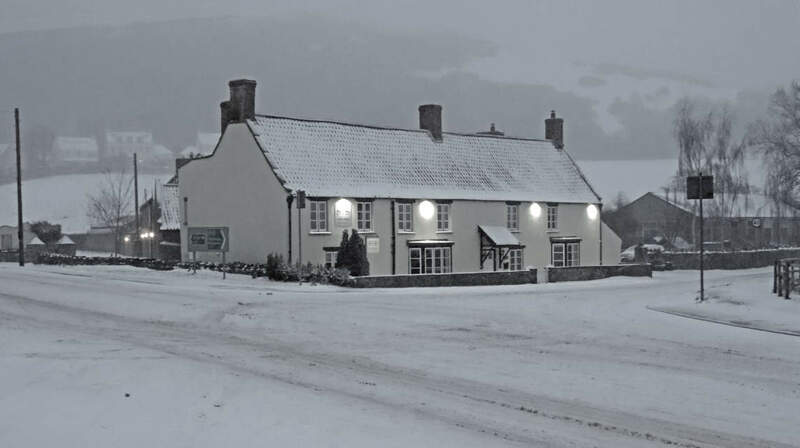 Your breakfast is cooked to order for you using locally sourced produce, there will also be continental available which includes a choice of cereals, yoghurt, fruit, and homemade bread and jams. We use handmade Gluten free Honey & Mustard sausages for all our English Breakfasts. Check Out Our RoomsRooms are available as Standard, Twin, Family and Deluxe.